 Elyse Berman is, without any doubt, one of the finest Real Estate Agents I have ever dealt with professionally, as a Justice and attorney, and personally as a Buyer and Seller of one family real estate. She is knowledgeable, accommodating and always has fully researched the Market. She is courteous, patient and always professional. She was and is a pleasure to deal with. She makes the entire process less stressful. « I highly recommend her, she’s a pleasure to work with.